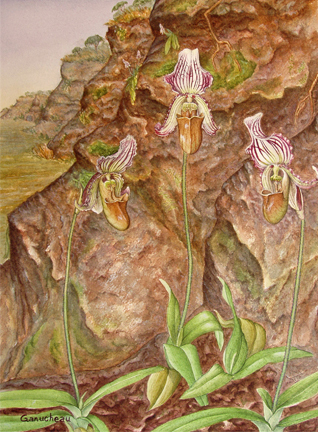 Original watercolor painting of the Asian Lady Slipper orchid species Paphiopedilum fairrieanum. Shown growing in its native habitat on limestone outcrops in Bhutan. 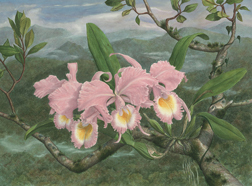 To me, it is the most feminine of orchids, with its delicate ruffled edges and sensual curves.